On Wednesday, 18 July 2018, a refrigeration and air-conditioning (RAC) stakeholder workshop was held to present the key findings of Grenada’s inventory for the RAC sector. This workshop formed part of the activities under the global programme “Cool Contribution fighting Climate Change” (C4), that is implemented by the National Ozone Unit (NOU) in the Energy Division of the Ministry of Infrastructure Development, Public Utilities, Energy, Transport & Implementation and the Deutsche Gesellschaft für Internationale Zusammenarbeit (GIZ) and funded by the German Federal Ministry for the Environment, Nature Conservation and Nuclear Safety (BMU) as part of the International Climate Initiative (IKI). During a brief opening ceremony, technical advisor to the GIZ, Marion Geiss in her remarks informed the participants that the global demand for air conditioners is expected to triple by 2050, due increase of temperature and more disposable income available – and Grenada is no exception. The C4 project therefore aims to encourage the use of energy-efficient refrigeration and AC equipment using environmentally-friendly, natural refrigerants. John Auguste, Senior Energy Officer, representing the Ministry of Infrastructure Development, Public Utilities, Energy, Transport and Implementation reminded the participants that a successful outcome of the C4 project cannot be achieved without the partnership and contribution of all the stakeholders. He further thanked the GIZ on behalf of the Government of Grenada for the technical and financial assistance provided through the C4 project and encouraged participants to use this event to broader their understanding of the benefits provided by energy efficient and climate friendly refrigeration technologies. Under the inventory component of the project, a comprehensive inventory survey was completed by local consultant Dr John Telesford, who collected data on the stocks and sales of the RAC appliances used in Grenada, in each of the following sub-sectors: domestic, commercial, industrial and mobile refrigeration and air conditioning units. This inventory data was translated into mitigation scenarios and projections in order to provide hands-on advice towards reducing the energy and refrigerant consumption in the RAC sector. 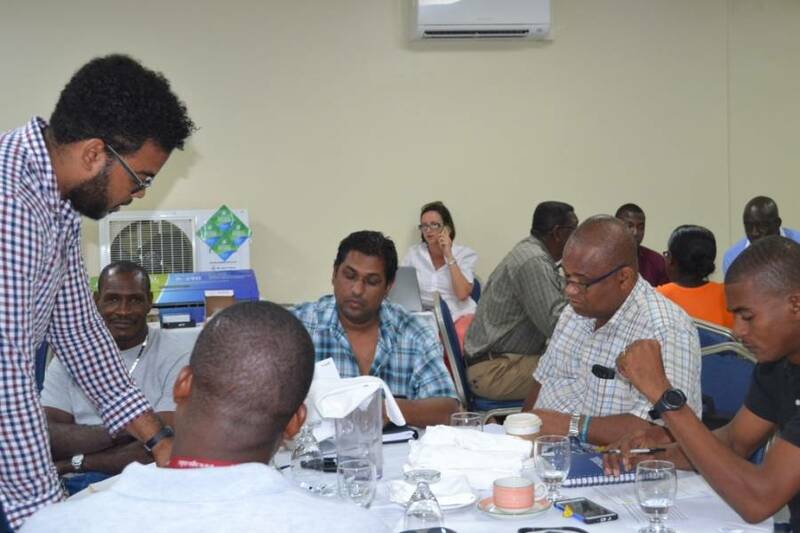 The participants of the workshop were also presented with the first set of monitoring data from the pilot sites of the highly energy efficient, natural refrigerant, R-290 (propane) split air conditioners that were recently handed over to the Government of Grenada. Preliminary data indicates that the electricity consumption of these units is approximately one third of existing similar units installed. The project plans to provide more updated data on the pilot projects over the coming months. During the workshop Curllan Bhola, technical expert at the C4 project, used the opportunity to present the plans of the NOU to develop a national Cool Training program for RAC technicians. The first training is planned for August 2018.